Our library staff will assist you in selecting a book that reflects your interest. All donations are fully tax deductible and support the Mertz Library, one of the world’s largest and most important resources for plant information and research. For more information, contact us at 718.817.8545 or via e-mail. A plaque with an inscription of your choice will be placed on a bench you select to honor your special person or occasion. Benches range from $15,000 to $25,000, depending on location. 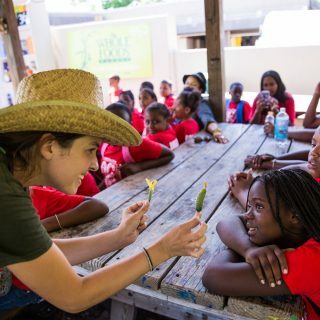 The Edible Academy, with the Ruth Rea Howell Vegetable Garden as its centerpiece, is a state-of-the-art facility for education, hands-on activities, and programs. There are limited opportunities to become a part of the campus by dedicating one of these 12 learning tables. For a gift of $15,000, a plaque will be placed on the table of your choice with your personalized inscription, creating a lasting tribute in a space to be used by countless families and students each year. The Garden also welcomes contributions in lesser amounts. All gifts will be recognized with an acknowledgement letter to the recipient; the gift amount will remain confidential. Donations are fully tax deductible and may be eligible for matching funds. 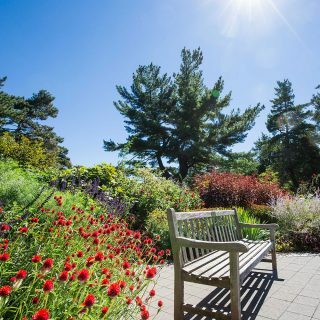 Your contribution will support the Garden’s vital programs in horticulture, botanical science, and education. For more information, contact us at 718.817.8545 or via e-mail.